The hip thruster is the best glute exercise there is. Although not an isolation exercise, when done right the glutes do the bulk of the work, this fact is unmistakably clear at the end of each set. 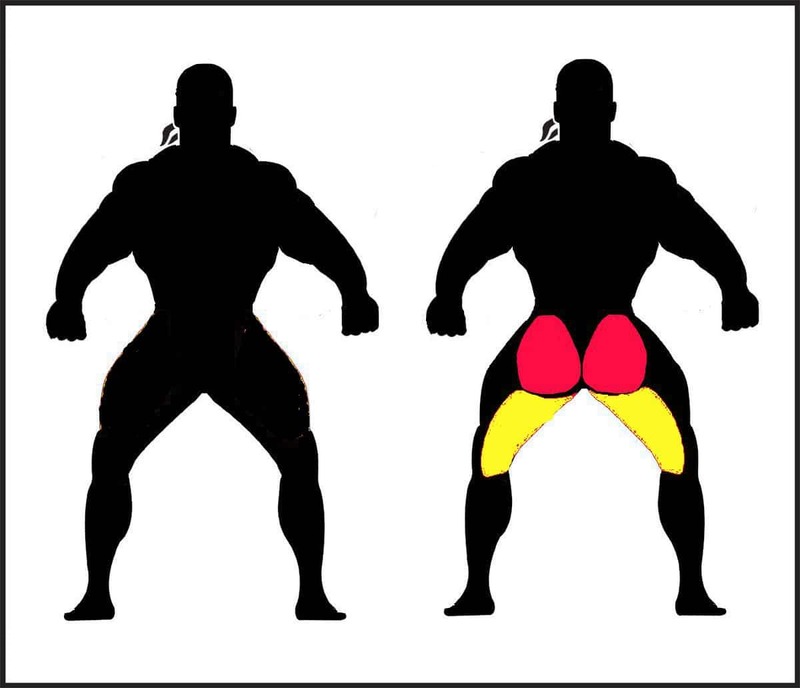 When done right, at the end of each set your glutes feel like balls of fire leaving sitting, standing (and most positions between) very uncomfortable. I usually choose the fetal position after a good set. Flat Weight Bench –If possible place the bench lengthwise against an object (such as a deadlift platform) that will brace it from behind to prevent it from sliding away from you as you begin your sets. Barbell – Use a standard bar and weight plates. If using less than a single 45lb/20kg plate, consider using bumper plates if available so you can roll the bar up to your hips when setting up. Shoulder/Hand Position: Place your shoulders on the bench. Leave your elbows off the bench, resting your hands on the bar just outside your thighs. Balance the bar with your hands, and keep the bar in position. Stance/Foot Position: Feet should be no more than hip width apart. Bring your heels back toward your hips until your feet are under your knees. Keep your feet flat on the floor as you execute the lift. Sit on the floor in front of the bench and pull the bar up your legs to your hips. Rest your shoulders on the bench and bring your feet back toward your hips until they are directly under your knees. Drive the barbell straight up until your hips are fully extended. Lower them back down for the next rep.
It’s not necessary to lower the bar until it rests on the floor for each rep. If the bar is resting on your pelvic bone during the lift, it will be excruciatingly painful. You may need to find a position for the bar that is less painful. I recommend pushing the bar down with each rep just onto the meaty part of your upper quad where it meets your hip versus resting directly on your hips. Your glutes are one of the most powerful muscles in your body – you should be able to move a lot of weight with hip thrusters. Once you learn the lift, you should be able to thrust near your deadlift max for reps.
Short Range of Motion (ROM): To maximize effectiveness, drive the bar up until your hips are fully extended. Feet too far from Hips: Bring your feet back toward your hips until they are under your knees. Not bringing them back reduces the tension on your glutes, and limits the range of motion of the lift. Keep your back flat and straight throughout the full ROM. Rotation point should be at your shoulders, with your torso acting as a rigid lever from your shoulders to your hips. 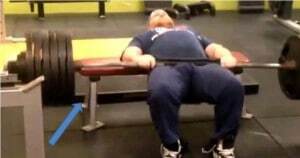 Make sure the bench is anchored or held so it does not tip or slide during the sets. Barbell Glute Bridge: Barbell glute bridges are very similar to hip thrusters. For glute bridges your shoulders rest on the floor during the exercise instead of on a weight bench.